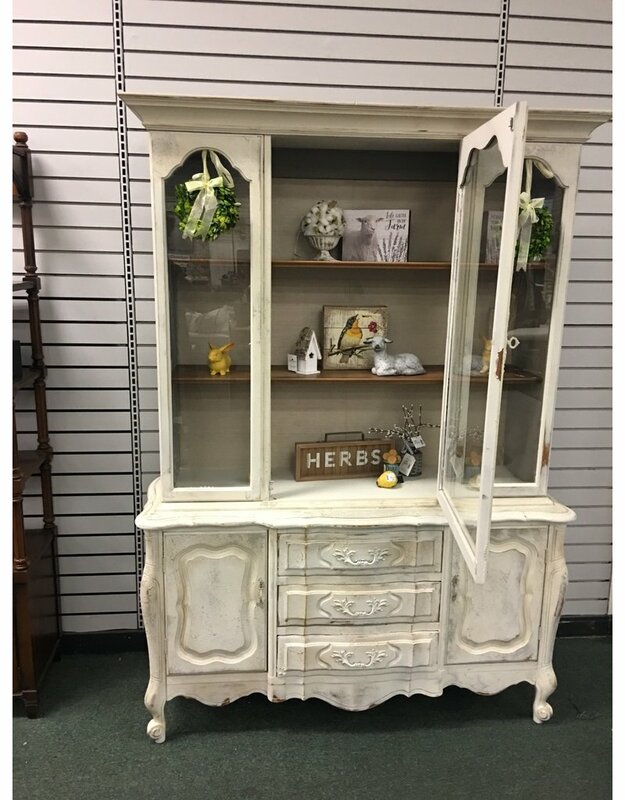 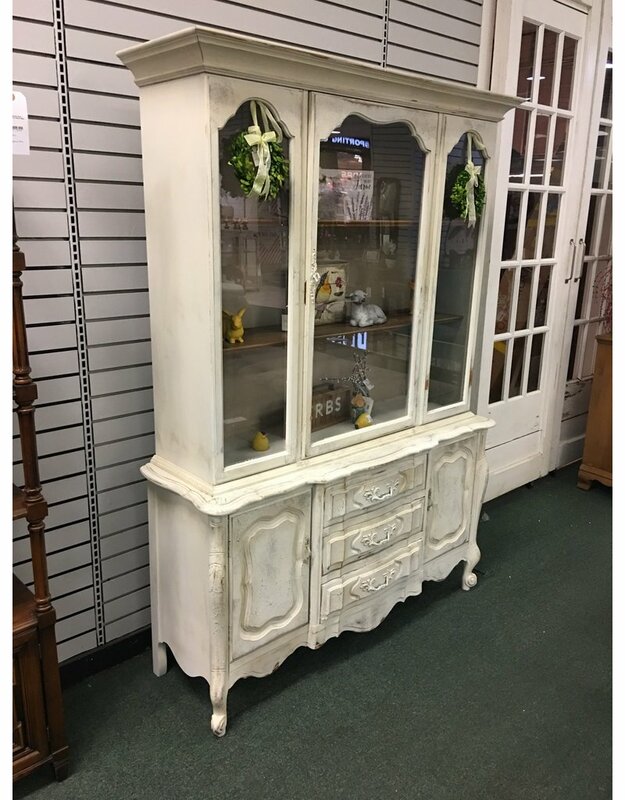 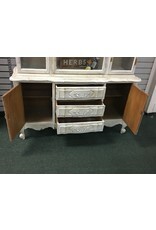 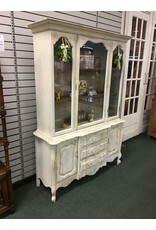 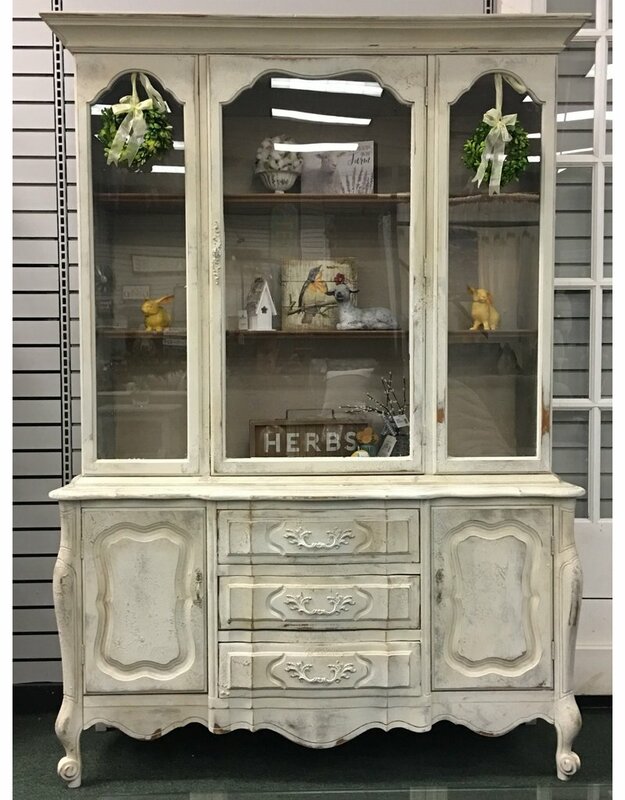 A beautiful vintage solid wood one piece French Provincial china cabinet with a hand painted shabby chic makeover! 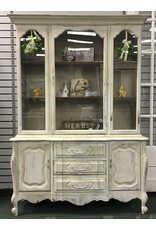 The cabinet features 3 drawers and 2 cabinet storage areas while 3 shelves are tucked behind the glass door. 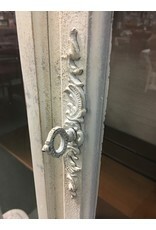 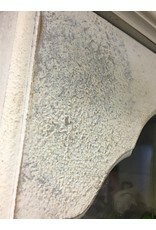 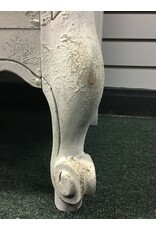 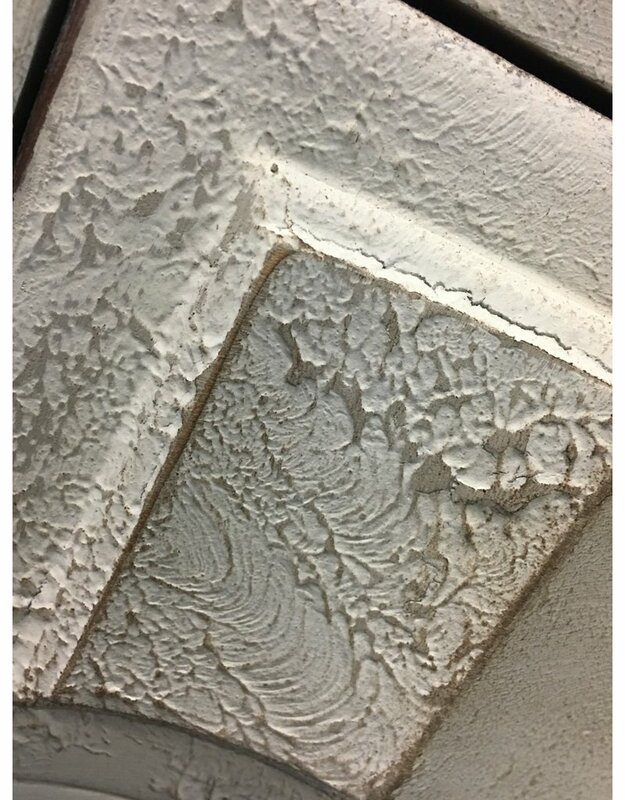 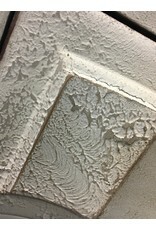 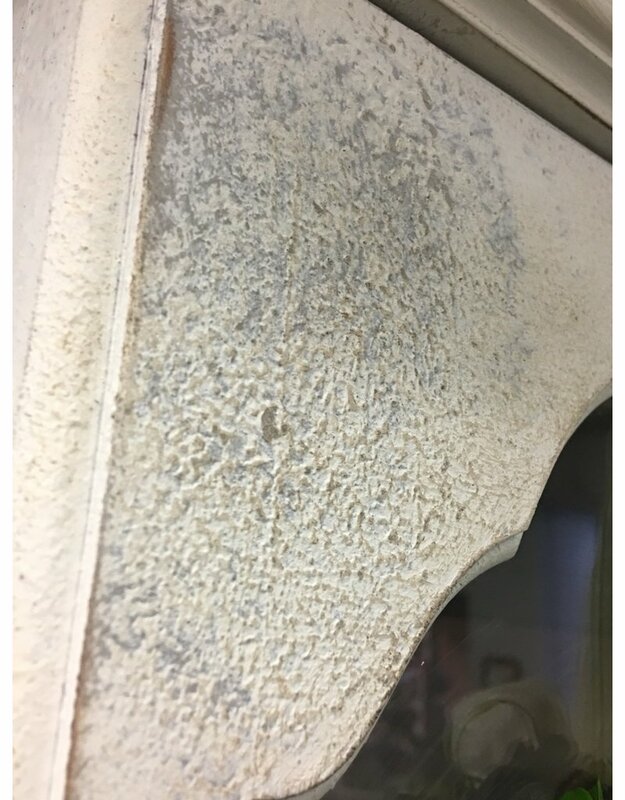 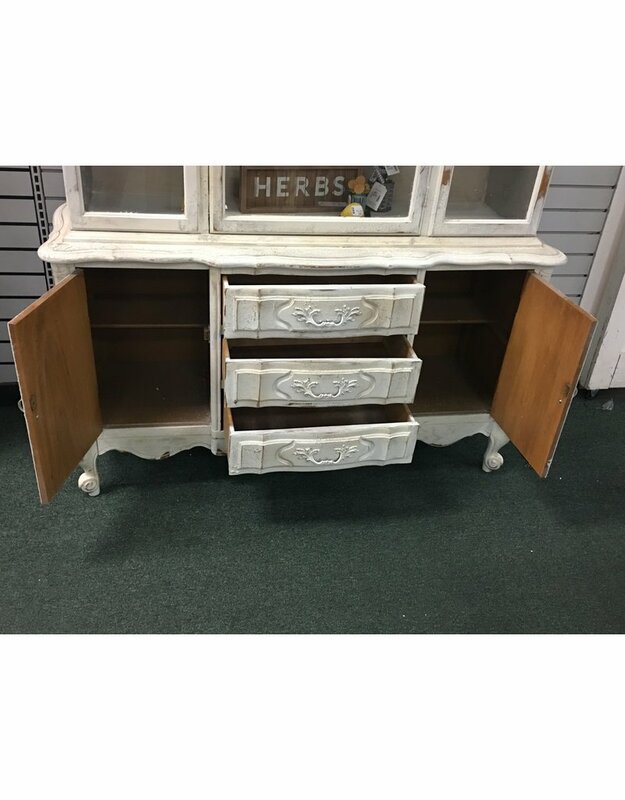 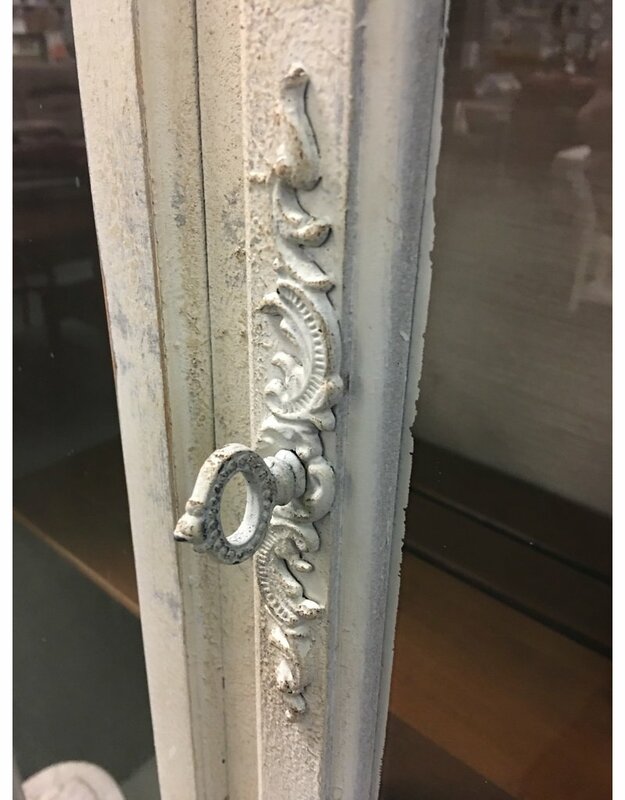 The hand painted finish was achieved as a multi-step process of General Finishes Empire Gray Chalk Paint mixed with Saltwash for the textured base coat. 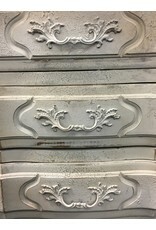 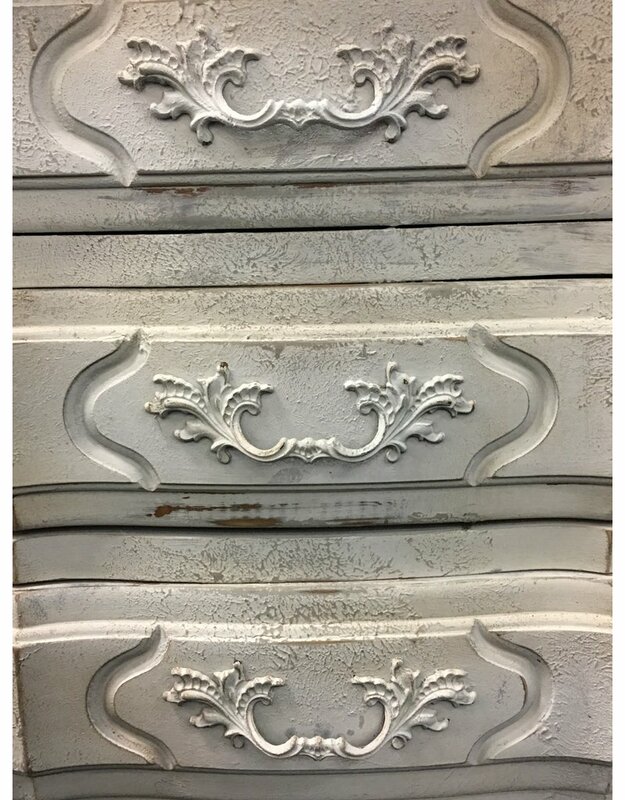 On top is General Finishes Seagull Gray Milk Paint, dry and wet distressed, and finished with both clear and dark furniture wax. 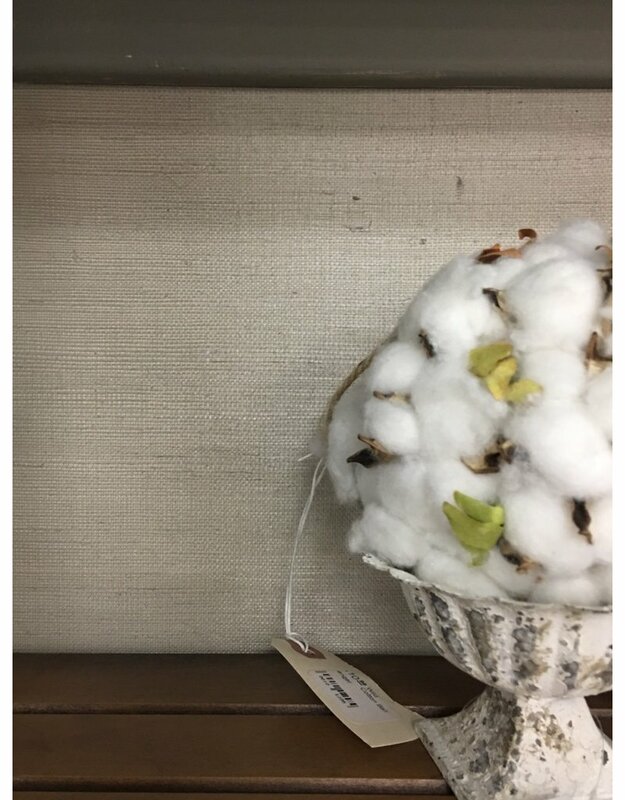 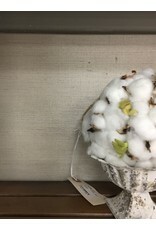 The display cabinet portion has been lined with a beige woven seagrass backing that ties the piece together. 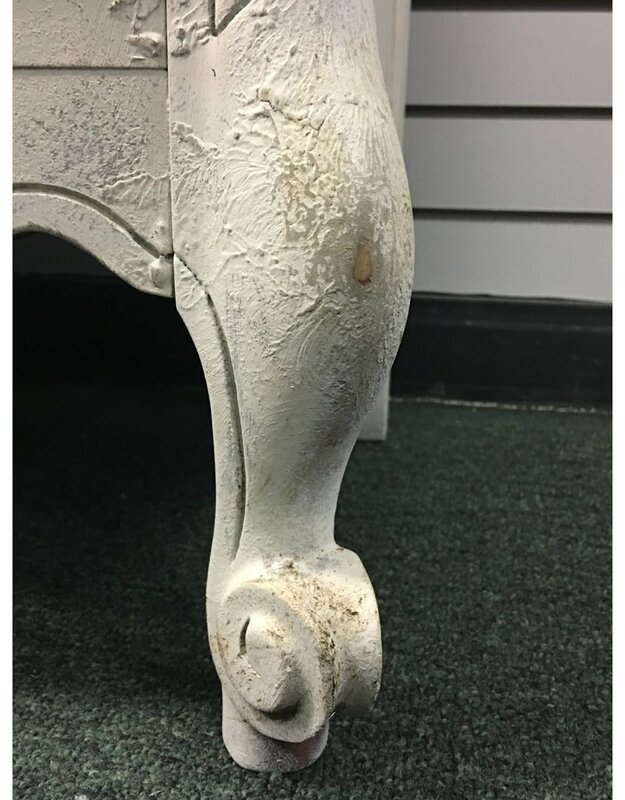 The piece is solid, sturdy, and one of a kind. 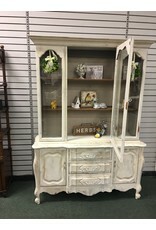 52" x 17" x 72"